Just in time for Mother’s Day, Intro to Soldering: Making Jewelry is here. 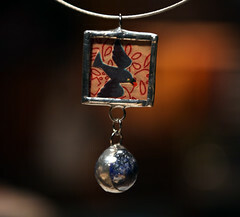 The sizzle of the soldering iron will be heard far and wide on April 30 we meet to make soldered jewelry. 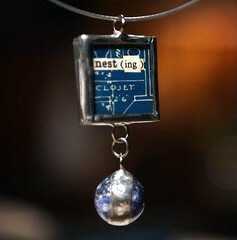 This particular class is for those who love the funky look of soldered jewelry and would like to give soldering a try. But I must warn you, soldering is an addicting activity. I can not be held responsible for uncontrollable urges to solder after experiencing this class. For those with soldering experience, I am developing a class that will add even more funk. With a focus on design, we will be using more challenging techniques, incorporating more materials, trying patinas, and using some surprising items to solder. The class registration will open towards the end of April with the class date in June. And now I’m off to snooze. Tomorrow morning I wake up bright and early to fly to Seattle, WA with my art buddy. Then we’re off to the cozy town of Port Townsend for Artfest! WHAT FUN! And how BEAUTIFUL!!!! !